A child on the Autism spectrum, a young woman coping with work stress and a boy dealing with the separation of his parents, all vastly different cases, but all with one thing in common: putting a problem in a visual medium helped them to engage in therapy. Arts therapy is based on the belief that the process of engaging creatively in art making within a therapeutic relationship supports changes in one's inner and outer world, according to counsellor and art therapist Shaun Spicer. “Arts therapists may specialise in one of the creative modalities or use a combination of artistic expression depending on the intentions or experience of their clients,” said Mr Spicer. 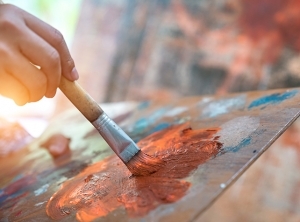 However, it's not about the art, according to Jay Anderson, a counsellor and psychologist at South West Wellbeing Centre in Western Australia, who uses art therapy as part of a multimodal approach to help clients uniquely explore their thoughts and feelings. “Art therapy is a general term, not unlike ‘counselling;’ it’s not about the art, but the therapy involving artistic materials and art processes. It is the process of acknowledging the emotion or issue, expressing it, sharing it and the integration of the process that is key. “Counsellors and therapists that engage with art therapy may have different activities they utilise, or they may use a particular process to allow the client to learn more about themselves or to explore an issue. “Often art therapy is useful in expressing and resolving emotions, allowing a deeper therapeutic process, and perhaps more subconscious involvement in the therapy,” said Ms Anderson. What type of client benefits most from creative therapies? Arts therapy is beneficial to people of all ages and abilities and embraces a variety of psychotherapy frameworks, said Mr Spicer. “Art is a visible representation of intangible thoughts and feelings, often feelings that are hard to verbalise. “Giving voice to these inner thoughts and feelings empowers clients in a safe, confidential nurturing environment. Participants can explore their imagination and creativity, identifying issues and concerns and increasing their intra and interpersonal skills. “Art making has been shown to decrease stress and anxiety and is an effective form of communication across all ages, cultures and social groups, empowering those with mental health conditions to be engaging within their communities,” said Mr Spicer. The majority of other therapies and counselling techniques that improve mental health are verbal and cognitive, which isn’t ideal for every client, said Ms Anderson. “Some people are more suited to creative therapies, and art therapy is one category that engages different parts of the brain and body in the therapeutic process. “In the same way that there are many learning styles and personalities, likewise, in counselling, there are many techniques and modalities, and methods of working that connect better with some clients. “Some people may be cognitive, and thought focussed, they may feel more comfortable in standard therapies involving techniques that engage their brain or their thinking processes. Other people connect to their emotions through drawing or may better integrate an issue in making something, or in painting it,” said Ms Anderson. This doesn’t mean only ‘creative’ or ‘artistic’ types are suited to art therapy, explained Ms Anderson, as every client has emotions and challenges, but some people work through an issue better through a creative outlet. Facilitating art therapy sessions in counselling. Art therapy sessions range in duration from 40 to 60 minutes, depending on the client’s age, and can be facilitated on a one-to-one basis with individuals, or in groups, families and communities, said Mr Spicer. The sessions can include a variety of mediums, such as clay, play dough, plasticine, collage, paint and pencils, said Mr Spicer, but poetry, singing and even performing is part of the art therapy experience. “The emphasis is always on the process of creating and to make meaning rather than the end product,” he said. Art therapy can be facilitated as a component of other counselling techniques to explore issues further or to express emotions, said Ms Anderson, while other art therapists use art throughout the entire session. “Some art therapists may direct the client and have a planned activity or process while others may be non-directive and allow the client to lead the process, which encourages flexibility, change and openness,” said Ms Anderson. Andy, a young boy on the Autism Spectrum, was often quiet, not social and had some challenges at home with his behaviour, said Ms Anderson. “He engaged in art therapy using a non-directive approach - where he could choose what materials and what things he would do. He was guided in the process by his therapist and while there was no conscious discussion of the ‘problem areas,’ his mother reported him to be calmer and happier at home. 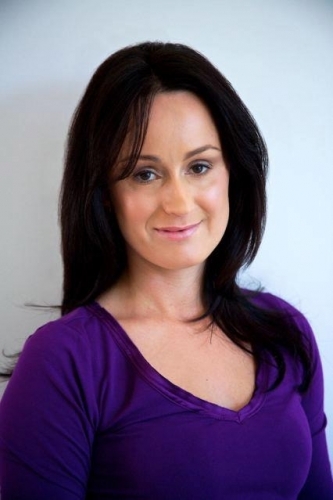 Lorna, a young professional woman, was having difficulty with stress and low confidence at work. “Her art therapist worked in a more directive way, choosing a different activity for each session. Each activity had a different focus; some were about expressing emotions, some about self, some about just creating. “As adults, during the therapy, the client and the therapist may talk about issues or connect the art process to current life events - in this way it was a more conscious process - and over the course of several months, Loran felt less stressed, more confident and chose to end therapy,” said Ms Anderson. Matthew, * a young child from a single parent relationship, participated in a 12-week art therapy session for one hour per week, said Mr Spicer. “This young person developed a therapeutic relationship with me. He was angry and upset at times as he didn't know how to express the loss of the father figure in his life. “Some sessions were spent sword fighting with toy plastic swords where he would vent his anger and aggression safely. Other times he would paint and express his worries and anxieties onto the paper, or paint pictures of his family members - those present and those not. “As the sessions were coming to a close, we also talked about separation and how to cope with change, with things coming to an end. Within this therapeutic relationship, the young boy learnt how to deal with loss and change, and I heard later that he was further engaged in learning at school and had developed a broader network of friends,” said Mr Spicer. Many creative therapies are highly beneficial and can assist clients with a range of issues, said Ms Anderson, making it an ideal adjunct to psychological treatment. Art therapy is a valuable tool to improve and enhance the physical, emotional and mental health and well-being of many clients, added Mr Spicer. “It’s a vehicle for self-expression, and also enhances self-reflection and discovery, which would be an asset to any clinic,” he said. There are many short workshops and courses available to gain skills in facilitating art therapy, but Ms Anderson highly recommends personal work in this area to experience the benefits firsthand.